As far as moves go, Jeff Bezos was bold, unforseen and daring. 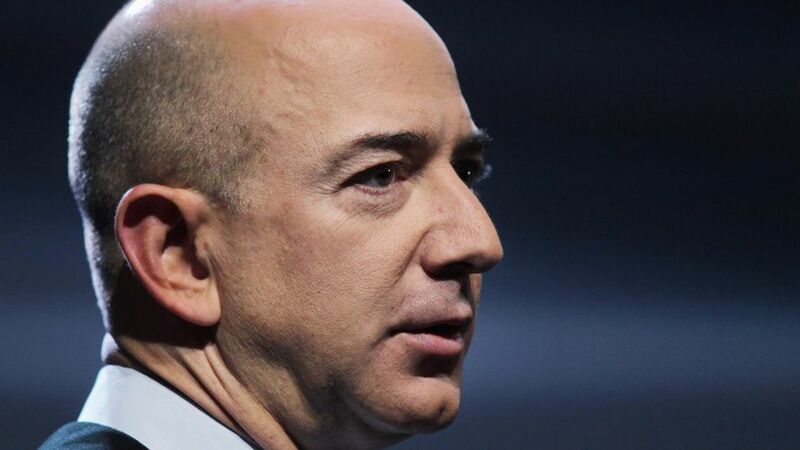 As one of the great innovators of his time, Bezos founded Amazon in the 1990’s and as CEO and majority shareholder, continues to run it to this day. He transformed e-commerce, moved into hardware and has now entered publishing having purchased the Washington Post today. Like all great entrepreneurs, Bezos has shown an ability to dominate different (often totally unrelated) sectors. Like Steve Jobs before him, who created the PC age alongside Bill Gates, went on to pioneer a whole sector of the movie business with Pixar, before returning to reinvent music and mobile phones, before brining us the tablet computer. Is Jeff Bezos following a similar path, choosing to exert his enormous force on un-related but struggling sectors? It sounds strange to compare the two men. However, how few digital focussed entrepreneurs have truly made an impact across totally different sectors? Where Steve Jobs invented Apple at a time when computers were just getting going, Bezos invented Amazon to capitalise on the growing trend of electric commerce. Jobs, having left Apple, created a whole new genre of film with Pixar. There were cross-over skills, namely the use of computers, but this was essentially a whole new area for Jobs. 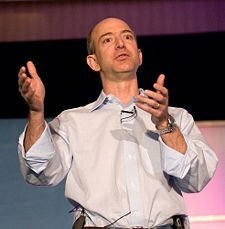 In a similar vain, Bezos moved into hardware with the Kindle. Like Pixar and Apple, the Kindle overlapped with Amazon because of the book connection, but essentially these are two totally different beasts. When Jobs went back to Apple, he took the company in a whole new direction. They worked on music players, mobile phones and tablet computers, again showing Jobs’ willingness to strike into new territory. Now we have Bezos doing similar in moving into publishing. Like Jobs, he is now spending time away from the company he founded (this acquisition is totally separate to Amazon). Like Jobs, this is another new sector to dominate. So maybe the comparison is fair? Maybe Bezos is becoming the new Steve Jobs? Offline shops and online power stores all suffered at his relentless hands. Amazon soon outgrew books, marching through entertainment verticals at ever-increasing speeds. For a while they were the king of the penny DVDs. Before we knew it, they sold everything. From luxury watches to specialist hardware, there wasn’t much that you couldn’t buy with one-click on Amazon. And there lay a great trick. In creating and patent protecting the one-click purchase, Bezos locked down the most economical way of driving sales. Amazon married supreme easy of purchase, with great customer service and a decent price point – even if the latter of these three ingredients has slipped a little of late. Amazon quickly became the darling of the middle-aged online shopper. This demographic have money in their pockets and they value Amazon’s principles. They had a distrust of buying online that Amazon cleverly wore down. Reasuring customer service paid dividends, just like the speedy delivery and the fair price. For many in this category, Amazon is internet shopping. The one-click buy was genius for its ease of transacting, even if some doubted the principals behind it. To this day some argue that its built to capitalise on impulse and also on shoppers old internet shopping technique of putting products in the basket ‘whilst they think about it’. Either way, by the early years of the 21st century, Amazon was already almost unstoppable. By the latter half of the first decade of this century, Bezos had spotted another opening. This opening was so big that it would allow his company to be the only bookstore on the internet. The opportunity? create an e-reading device that allows shoppers to download books from Amazon with one-click. On this premise, the Kindle was born. An awkward, slightly low-tech looking device at first, it represented a pivotal moment in Bezos and Amazon’s evolution. Amazon was no longer a mere internet shop, it had no entered the hardware business. This demonstrated Bezos ease in stepping outside of his comfort zone and exploring new opportunities for the first time. Todays news proved that it would not be for the last time. The Kindle was a huge success, selling over 100m units and providing Amazon with the platform on which they could continue to dominate book sales. The monochrome screened original soon moved aside in favour of more advanced tablets, like the Kindle Fire and the Fire HD. Amazon was now stepping on the toes of the big tech manufacturers, including Apple and Google, who themselves had recently entered the space. For Amazon, the Kindle and the Kindle Fire were everything they intended it to be. In 2013, sales remain strong for both products. Acceptance and praise has not always been forthcoming from the technology media, BurnTech included, but the sales tell their own story. With Apple’s recent indictment for fudging e-book sales, the cards have really played out nicely for Bezos and Amazon. Nothing in Bezos background led us to believe he would make this move, and nothing in Bezos background should have led us to rule out such a move. After all, this is a man who had already attacked two unique segments, e-commerce and hardware, so why not a third? Todays $250 million acquisition of the Washington Post has presented Bezos as a genuine publisher. Whilst the sheer weight of content on Amazon could lead to a strong argument that his original invention had led itself down the publishing track – where else has the sheer volume of customer reviews that Amazon does? – the acquisition of an iconic newspaper is a totally different game for Bezos. It’s interesting to note that this is a personal acquisition for Jeff Bezos, and is not an Amazon take-over. It means that Bezos now owns an iconic American newspaper, one which he himself acknowledges plays a ‘critical role’ in Washington. One of the great entrepreneurs of his age, Bezos now dictates the news around his nation’s capital city. The deal brings tag along papers too, including the Express newspaper, The Gazette Newspapers, Southern Maryland Newspapers, Fairfax County Times, El Tiempo Latino and Greater Washington Publishing from the company. Slate, TheRoot.com and Foreign Policy will remain under The Washington Post’s stewardship, as will WaPo Labs, SocialCode and various other TV and real estate interests. What are his motivations? at the moment it is very early to speculate. However, the advertising world in which Amazon features prominently, is increasingly reliant on ‘bid data’, a ubiquitous phrase that boils down to the use of first party data sources to drive advertising. With the cookie ever less reliable as a targeting tool online, it is increasingly important to gather first party data. Amazon’s targeting relies heavily on such cookie based targeting, so thee may be some protectionism in there. Maybe also there si the thrill of the opportunity. The Washington Post has not been exactly flying in recent years, as evidenced by the statements made by the departing owners. Does Bezos have a newspaper strategy in place which could allow him to redefine a third sector? Now Jeff Bezos has gone across sectors for a third time, is he becoming the new Steve Jobs?